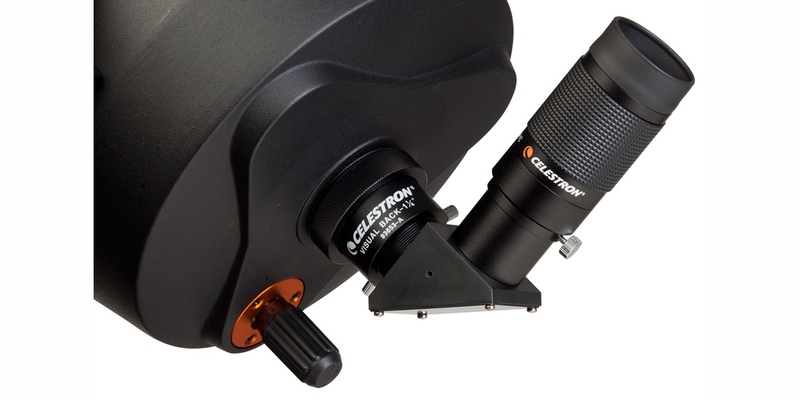 The amazingly versatile Celestron 8-24 mm zoom eyepiece allows you to choose from a variety of magnifications in a flash! Simply grip the rubberized barrel and turn it slowly while looking through the eyepiece, and then pick the best power for the object you are observing. Alternatively, you can use the lowest magnification (24 mm) to find an object and center it in your field of view, and then increase the power until the desired view is achieved. It is fast and easy, and lets you examine any object at various magnifications without requiring you to physically change eyepieces. The Celestron zoom 8-24mm eyepiece uses premium optics that are fully multi-coated for crisp, clear images. The folding eyecup lets you view with or without glasses, and the field of view (40 - 60 degrees) works well for terrestrial observations as well as for views of the Moon, planets, and deep-sky objects.